Have you heard the exciting news? 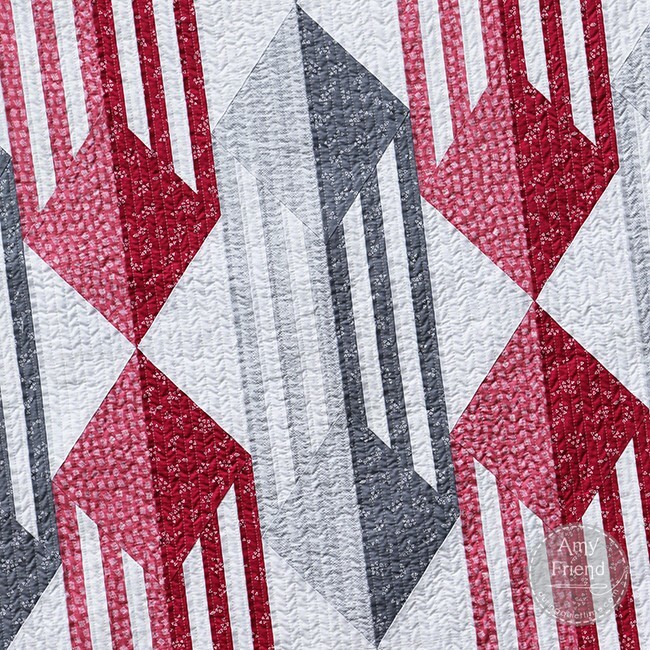 I had the opportunity to design a fabric collection for Benartex LLC’s Contempo division that will be shown at spring Quilt Market next month. The collection is called Improv. As you know, I love sewing with solids. Sometimes I like to incorporate fabrics that read as solids but have a little interest–a small sketchy print, for example. These sorts of blenders are so useful and I enjoy working with them. They add that “little something” but still allow my piecing to shine through. This was the use I had in mind when I designed Improv. I wanted the prints to be my go-to types of fabrics that could read as solids but had a bit of interest, and maybe allowed for a some fussy cutting too. Over the next few weeks, I will be introducing one new pattern a week using Improv! First up is my Caged pattern. 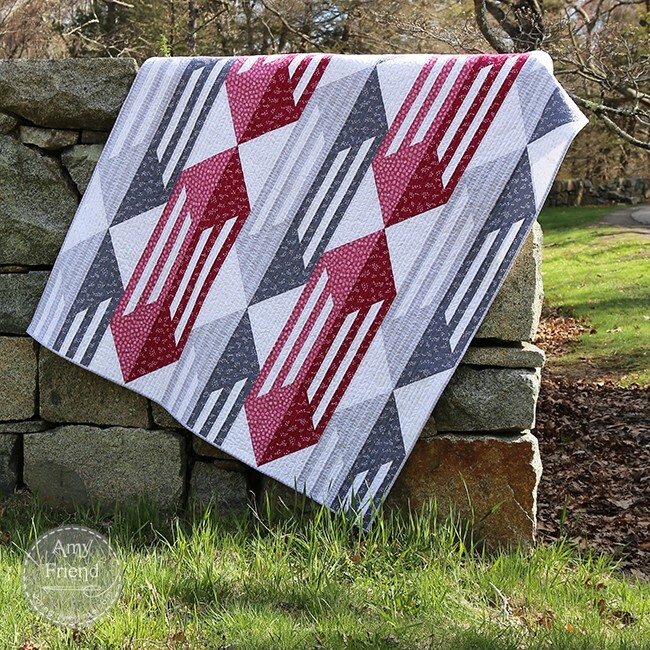 Ever since I made the first version in solids, I have had requests for the pattern but I was waiting for my fabric because this quilt using Improv was already planned! I love working with gradients and creating dimension using light and dark. One of the things I did with my collection was create a gradient in prints. 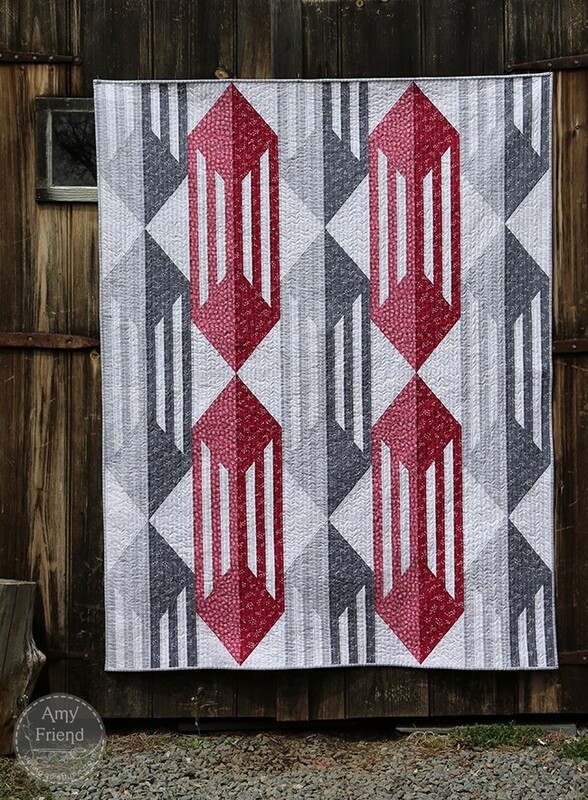 Here I used a light and dark combination of gray and rose for a three dimensional effect much the way I initially did with solids in my first version of the quilt. I will be sharing some close ups of the fabric once I am done with my market sewing but right now it’s all sewing all the time to get my samples done! 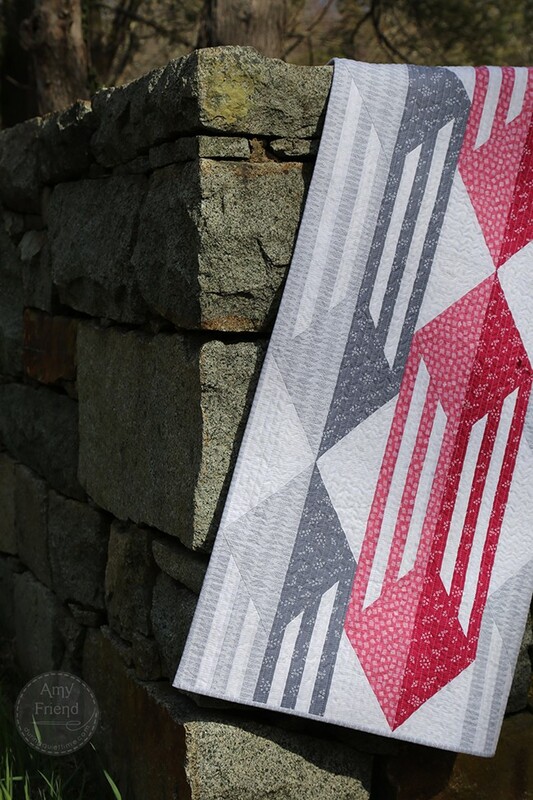 This pattern is foundation pieced which makes the precision of those straight lines possible, and also the interesting diamond shape. It’s easy enough for beginners as long as you have patience because you are handling large foundations which will slow you down a bit. I think you will find it really rewarding! I hope you are enjoying my new web site! We are still working out some kinks…for example, you will not be able to leave a comment on this post. Comments are currently not working. As soon as we can figure that out, we will!